I decided to focus only on Prelims, since I had only 5 months left for it and I had practically ‘zero’ preparation for Prelims. Study of Humanities during 11th and 12th std came handy to me since I had fair understanding of basics and need not have to go through all NCERTs. (But I strongly recommend every aspirant to read each and every NCERT as they are ‘bible of CSE preparation’. I skipped reading all NCERTs, not because they were of no utility, but because I didn’t have time). I studied following books for Prelims, religiously and thoroughly. Certificate Physical and Human Geography by GC leong. While reading, I made a point to consciously think of nature and content of possible questions from that portion of reading. It helped me a lot. I did a lot of discussion with friends and revised multiple times. Polity, Economy and History didn’t pose much problem. I would give first preference to ‘revision’ and second preference to ‘studying new things’. I would write all GS tests religiously, even if I would not have covered the prescribed syllabus. I would stay calm and poised throughout the preparation. I would not be overconfident or under-confident with respective better marks or worst marks. I would just be ‘normal’. I have to figuratively describe my state while approaching Mains for the first time, ‘I was a blind who searched for a black cat in the night’. I didn’t know anything except the pattern. Nor was there any preparation, be it for GS or optional. I firmly believe ‘the best way to do multiple things at a time is to do one thing at a time’. Accordingly, I decided to focus on my Optional Kannada Literature first few months and then focus on GS. July, 2012. I finished my MBA. I was all set to jump into IAS preparation. I was under the impression (or false impression) that one could clear CSE only if coaching is taken in Delhi (Usual Delhi-mania that every prospective aspirant would have) I met Mr. Nakul (CSE 2010 – AIR 32). He convinced me that ‘going to Delhi is not required’ and I decided to stay back. Sir’s one tip was to become guiding light to me throughout my preparation. Both of them (individually) said, “Read just one book for each subject. 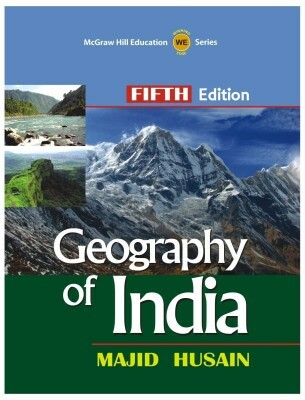 Reading one book twice is better than reading two books once.” Ms. Amulya (CSE 2011 – AIR 609) also gave me the same tip. It reinforced my faith in this useful suggestion. I got to know that my community offered free civil services coaching in Hyderabad. I was happy and excited. I went to meet associated persons in Bangalore. To my rude shock, my competence and uptill-then academic performance were mocked at and I was abused in ‘below-the-belt’ language. But, it strengthened my determination. Later, they offered me seat. However, I was upset with the lack of organization in their training program. They clubbed my batch with an earlier batch. I was forced to sit all classes, even though I knew I didn’t need them. Study environment was non-existent. My optional Kannada Literature was not taught there. All this made me take a tough decision – give up free boarding, lodging and coaching in Hyderabad. It also meant spending own money to sustain in Bengaluru. But I took that decision and it has indeed borne fruits. Risk I took by giving up such facilities has been suitably rewarded. There were two Optional subjects then. I decided to take up ‘Public Administration’ and ‘Kannada Literature’. I bought reliable books for Pub Ad and started self-preparation at home. After every chapter I read, I used to answer the questions from that chapter asked in previous years. One Pub Ad trainer and Mr. Narendra (IFoS and the one who had prepared Pub Ad with AIR-1 Shubra Saxena) appreciated my answers to the core. I was reeling under lot of confidence. But a bombshell in the form of Pub Ad Mains Question Paper for 2012 fell on me. I didn’t understand most of the questions only, forget answering them! I started fearing as to what if a similar Pub Ad paper would come the next year too. I decided to stop Pub Ad preparation for about a month or so and search for a better guide (preferably an aspirant not a trainer). Meanwhile, change in the pattern of CSE was announced. And I had to choose one optional and I decided to drop Pub Ad and go with Kannada Literature. But all this wasted some precious 6 months. Perhaps this waste is one reason why I could not even get an interview call in my first attempt. I feel the following are reasons for failure in first attempt. I had not written even a single essay before exam. I wrote the essay, “Be the Change you want to see in others” (incidentally, I scored only 70 in essay). What went wrong with my essay? I interpreted the statement in two ways and started writing it. After writing about two pages, I realized that one of the two interpretations might be inappropriate. I should have struck off the wrong interpretation and moved ahead. But, I felt striking off would send a wrong signal to the evaluator and hence went ahead building the essay around single interpretation. I filled my essay with mere examples, with hardly any amount of analysis. I did not write a proper test series for GS. Evaluation was unreasonably delayed with baseless excuses and feedback offered hardly any insight into how my mistakes could be plugged and improvement could be realized. (I secured 45, 52, 56 and 78 in the four GS papers respectively). Despite bad, nay worst preparation, I was expecting an ‘Interview Call’. How foolish I was!!!! The evening I got my Mains result of failure, I became absent-minded and worried for about two days. Then I decided to introspect my preparation to identify the mistakes and correct them and move on for second preparation. All the three mistakes that I quoted just above were realized during such introspection. Second attempt preparation made things fall in place for me, themselves. My friend Kavya who was in Hyderabad during my first attempt returned to Bangalore and she and her mother rented out a home in my locality. In her I had found a very good friend with whom I could discuss at length and revise the concepts. Everyday I studied in library till 1:30 pm and then went to home for lunch and discussion. We drew up a proper plan. We drew up a timetable. We decided to read only few authentic sources and revise the same again and again. I convinced her to stick to the sources I had studied in my first attempt (mentioned above). I decided to take ‘Essay’ paper very seriously, since I had scored pathetic 70 marks in my previous attempt. I realized my mistakes in previous attempt. First mistake was that I had filled my first attempt essay with only examples and very less of analysis. Mistake #2 was I had not arranged that essay properly. So, in my second attempt, I decided to write more analysis and use examples only for quoting purpose. Thus, I made a point to write the content in the paragraph and end the paragraph with example in the last sentence. To ensure logical connectivity, I formulated a plan – conceptualizing an essay as being made up of many ‘components’ and ‘sub-components’. To elaborate, such components may be causes-course-consequence-steps already taken to mitigate negative consequences-steps to be taken to remove negative consequence; or the structure can be infancy-adolescence-youth (used this structure in mock essay on ‘child rights’ given by Insights); or the structure can be primary sector-secondary sector- tertiary sector – social sector (used this in a mock essay on ‘women and Indian Economy’). I had been selected as RBI Grade B officer and I was very casual about IAS Personality Test. In an attempt to stay ‘cool’, I stayed ‘supercool’ and this made me give some unwarranted answers. To illustrate, I was asked, ‘What should we have to do to bring every child to school?’ I answered, ‘GER has already reached almost 100% and almost every child in school”. Interviewer: “Don’t you think it is just on paper?” I – ‘Sir, I RESPECT government statistics and believe them to be true’. Now, I feel, this one answer, coupled with lot of carefree attitude that must have been demonstrated without my knowledge must have pulled my score down.